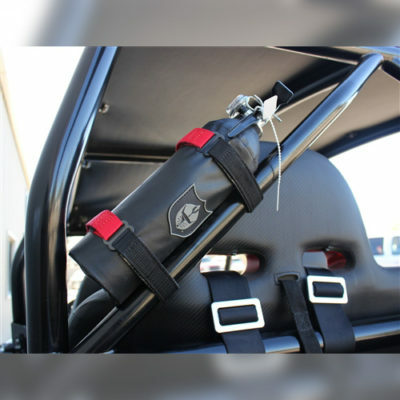 The Pro Armor Fire Extinguisher Mount Bag is made from durable vinyl and includes 2 heavy duty velcro straps. Furthermore, the straps include special rubber attached to make sure this fire extinguisher mount does not move. Easy zipper access to pull your fire extinguisher out in a hurry should you need it. Of course, installation is a breeze with no screws, bolts or clamps. 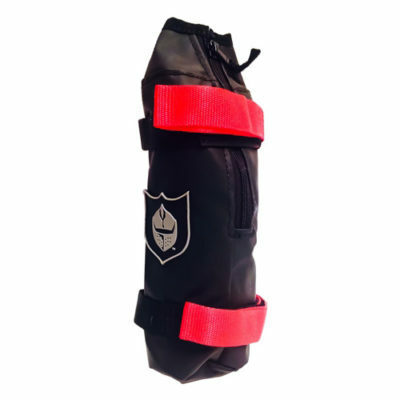 Extinguisher Bag will only accommodate/fit -2 lb. First Alert rec5-ds Extinguishers. This is for the Fire Extinguisher Bag Mount ONLY, fire extinguisher sold separately. Share your knowledge of this product with other customers … write a review!